Off the bat comes ‘How Many Times’, which channels Zeppelin, with a fun if cyclical guitar signature that carries you through, complete with an echoey guitar solo and full-on anthem style vocals. The track is full of energy and could have easily been the closer. And if that evokes Zeppelin, ‘Enemy Is in Your Mind’ leans on Black Sabbath with its high-reaching, watery vocals, organ, and doom guitar refrain. Another fun track, whatever it might remind me of. A few tracks in and you get a bit of déjà vu, as New Crown takes the riff from ‘How Many Times’ and bringing in heavily underwater vocals and a decent solo, progressing to an easier groove. Despite it feeling too much like an echo of the first, it works enough on its own. Leaving metal aside, they go refreshingly punk with ‘Feelings’, dropping the technical displays for straightforward guitar and drums, and vocals that act as a third instrument, all in under three minutes. The squawky ‘She Got It’ comes from the brevity school, but manages to overstay, lacking the punch of its cousin. Between them is ‘”I Ain’t Got No”‘, which felt at first like a take on the Stone‘s ‘Satisfaction’, but it manages to exist in two worlds simultaneously, visiting that song in dominant rhythm and parallel refrain, but living in its own space. Rock and roll more than early metal, it’s a lark, and one of the better tracks on the disc. All of these are lively, but not all of them dig their claws in so well. ‘Heavy Weight’ is mostly blare, ‘Tall Ships’’ heavy use of underwater guitar winds up being a bit nauseating (though its gothic keyboard interlude was a breath of fresh air), ‘Radio’ didn’t leave much of an impression for me, and the seemingLeon Redboneimpression for the coda of ‘My Tangerine Dream’ doesn’t quite help its heavy reliance on refrains. The final song ‘I Don’t Know Why’ points back to ‘How Many Times’ in feel and is a welcome return, yet is somehow the most contemporary of all the tracks. Its reflective feel is a good song to cool down with. Wolfmother is at its best here when they try something new: you get a creative burst that leaves a unique after-image. But the longer they dwell on any one thing, the more you risk the aural equivalent of retinal burn-in. When it’s a theme you happen to like that’s fine, but more than once I found myself getting a bit tired of a track after its charm was spent. 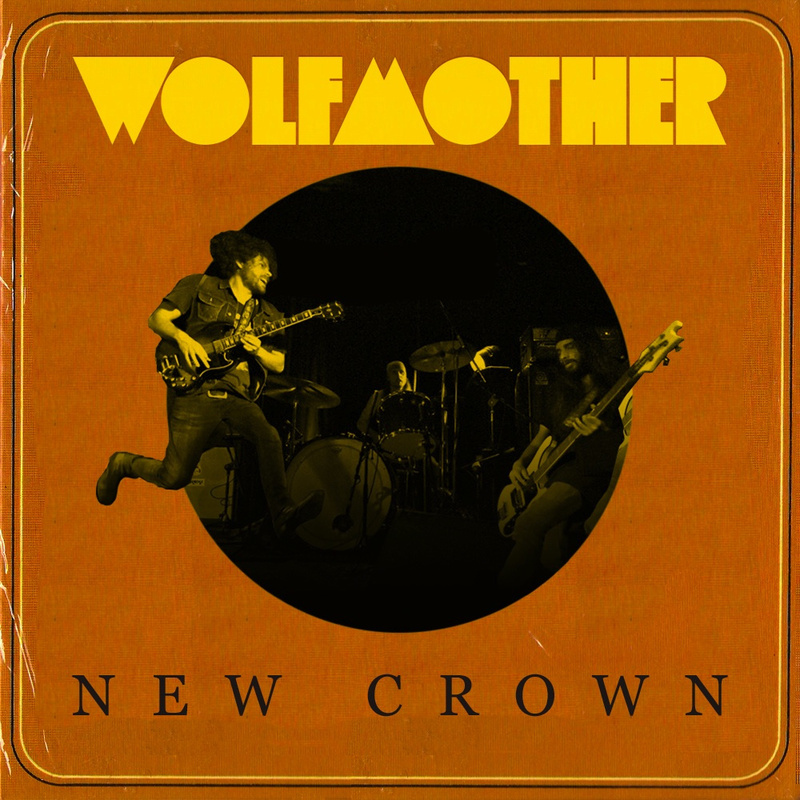 For a band that draws on the wealth of rock’s past, it’s in novelty where Wolfmother excels. Wolfmother Website. Twitter. Facebook. Bandcamp. Posted in 70's, reviewsTagged New Crown, WolfmotherBookmark the permalink.